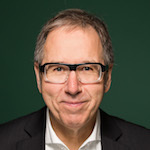 Prof. Udo Dahmen is a manager, drummer and educator. He studied classical percussions at the Musikhochschule Rheinland, Aix-la-Chapelle and Cologne from 1971 to 1976. Since then, he has been a session drummer for a lot of different acts, for example Charly Mariano, Herb Geller, Kraan or Eberhard Schöner (feat. Sting, Nina Hagen Gianna Nannini, Jack Bruce and Gary Brooker) to name a few. Udo Dahmen was a Professor at the Hochschule für Musik und Theater in Hamburg from 1983 to 2003. Since 2003, he is the Director of the Popakademie Baden-Württemberg in Mannheim and the Vice-President of the German Music Council.